Our #TransitHubbing Adventures in Toronto: Transit Tales: Chapter 2 - "The Ice Breaker"
In our second chapter of "Transit Tales", a #TransitHubber who goes by the name of Ms. Anonymous shares the story of her return to the world of transit. Enjoy! 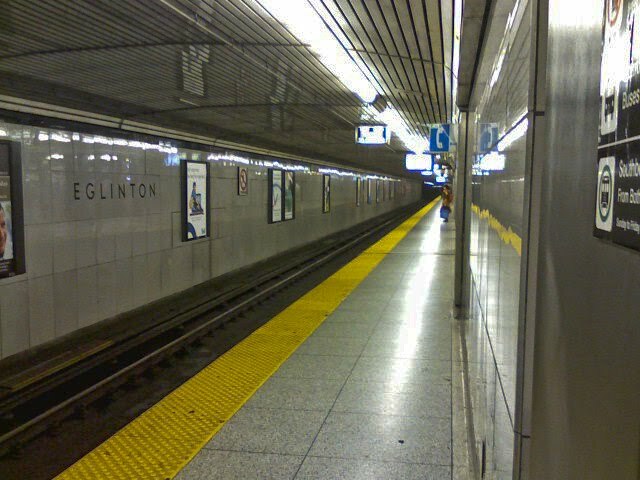 My ears are involuntarily acclimatizing to the shrill of Toronto’s trains as they skate into my home station each morning. As a now ‘practiced’ commuter, I can deduce by way of the tunnel wind rushes whether the train is approaching north, east, south or westbound. Occasionally, I am intimately fused to my subway compatriots, but if I remember to skip the snooze button I can declare victory and beat the rush. What I thought would be an unpleasant 1 hour every morning has actually turned into a (mostly) enjoyable ride. At last I am reading all those books I’ve been meaning to read. Podcasts and music delight my ears when the subway decides to clatter vs. skate along (and I decide to hold on with two hands vs. one). Most importantly however, my mobile poker skills are flourishing and my gossip repertoire bursting, thanks the odd/sweet/foul/funny/other sights I see on the TTC. I look forward to sharing these, along with my other tales with you! Have a#TransitTale of your own that you'd like to share? We'd love to hear from you! Email us at info@transithub.ca and tell us about an adventure or encounter that you've had on the subway or street car.